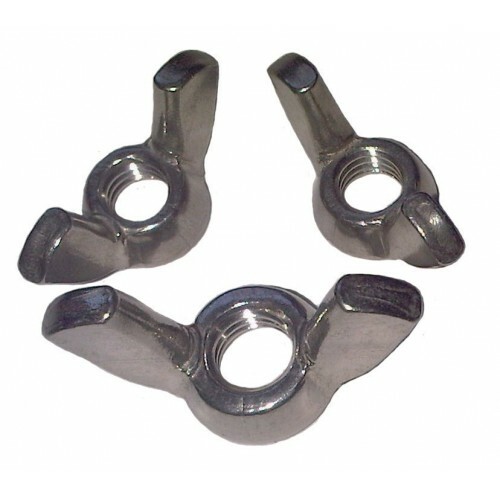 Stainless Steel Wing Nuts 2pc. Stainless Steel Wing Nuts 2 pc. For threaded stud connections with Marine lugs. Your Choice two 3/8" wing nuts, two 5/16" wing nuts or one 3/8" and one 5/16" wing nuts.